And it’s not just food – local drink will also be on hand in the form of beer and wine, along delicious desserts, and live music. This year’s menu was created by Alder Wood Bistro’s Chef Gabriel and supported by the Jamestown S’klallam Tribe, Nash’s Organic Produce, Pane d’Amore, Kokopelli Bar & Grill, Mount Townsend Creamery, Sunrise Meats, Fresh Breeze Organic Dairy, Johnson Farms, Graysmarsh Farm, and a host of others who donated time, ingredients, expertise, or a combination of these things. 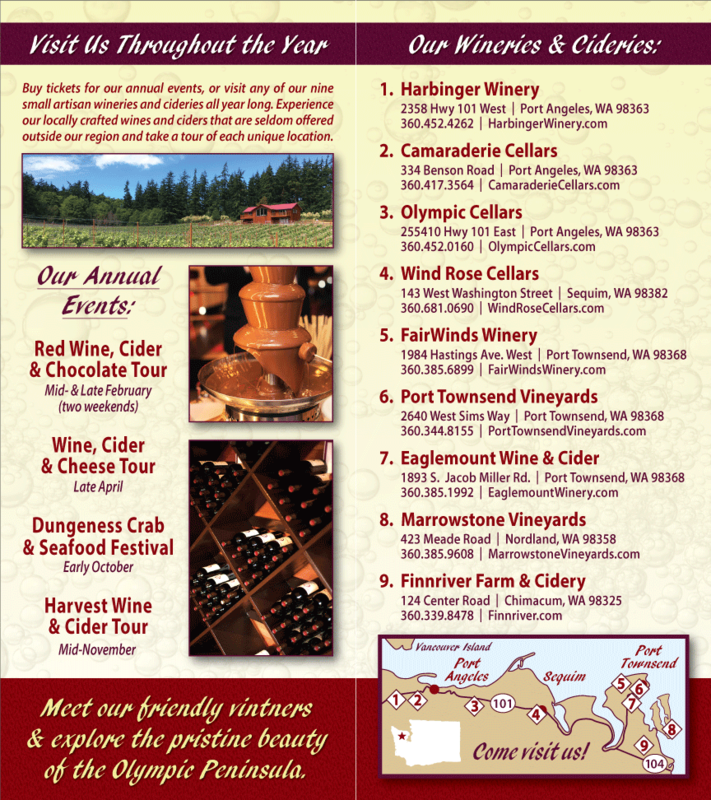 Some of our member wineries are involved, too: Olympic Cellars Winery, Harbinger Winery, and Camaraderie Cellars! Table decorations are always a highlight of the dinner and are as local as the rest of the affair: this year’s are being produced by The Cutting Garden with contributions from Vision Landscape Nursery, Nash’s Organic Produce, Sunny Farms, and other local vendors. The Friends of the Fields Harvest Dinner ends with a tantalizing dessert auction featuring incredible creations from local sources such as Raindrop Desserts, The Oak Table Cafe, Chestnut Cottage Restaurant, Olympic Lodge, Good to Go Grocery, Yvonne’s Chocolates, and many others. 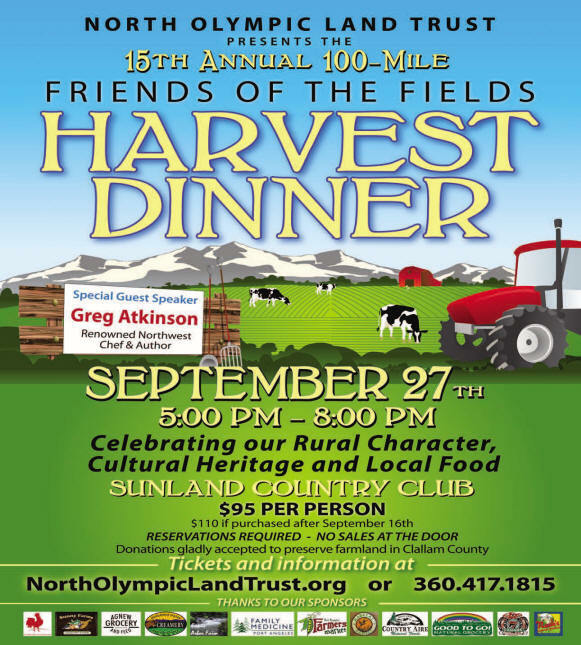 Tickets for this unbelievable display of collaboration, volunteerism, local food, talent, and effort can be purchased online at www.northolympiclandtrust.org or by calling 360-681-8636. Tickets *must* be preordered before the event as none will be on sale at the door.